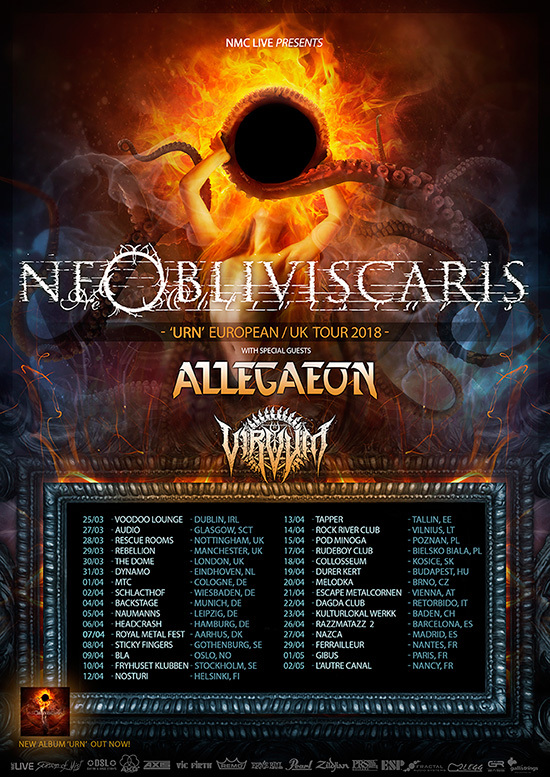 American metallers ALLEGAEON have just announced their first ever European tour which will see them supporting Australian NE OBLIVISCARIS on a 5-week trek through the old continent! Opening up each night will be VIRVUM from Switzerland. Recently, ALLEGAEON released a single for their cover of Rush’s ‘Animate’. That single can be heard online everywhere, including Spotify HERE.